We Are known for our extraordinary commitment to clients. Immigration is a serious issue, it’s impossible to open a single newspaper or watch Fox news due to the current political fight over immigration reform. 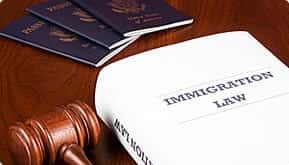 As a Texas immigration attorney I have provided quality immigration legal services to the business community and individuals seeking visas, residency, citizenship or relief from detention and representation at deportation hearings for many years. Immigration law covers the procedures for entering the US, determines who is and is not eligible for entry, sets the rules for obtaining citizenship and deporting foreign nationals who violate US immigration or other laws. Immigration attorneys assist foreign nationals seeking visas to come visit the United States to study, travel, conduct business and work. They also help employers complete the application and certification processes to employ foreign workers for permanent and temporary positions. a consultation with an experienced immigration lawyer. Foreign nationals who live as legal permanent residents in the US for five years may be eligible to apply for US citizenship. This process, known as naturalization, includes many important steps. The immigrant must be able to demonstrate the ability to read, write and speak English. Must be able to pass a US history and civics exam. The immigrant also must be of a good moral character. Certain types of criminal convictions may make an immigrant ineligible for citizenship & deportable. It is very important to prepare for the naturalization process and truthfully complete the application process. Any material misrepresentations during the process may result in removal proceedings(also called deportation).